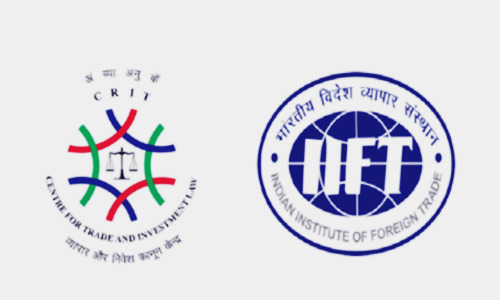 Centre for Trade and Investment Law invites application to intends to engage Senior Research Fellows / Research Fellows on a contractual basis for a period of one year. Enrolments: The selected candidates will be paid fixed monthly emolument of Rs. 48,000/- per month for the post of Senior Research Fellow and Rs. 36,000/- per month for the post of Research Fellow. Degree in Law (LL. B/B.A.LL.B. /B.B.A.LL.B. /B.Sc. LL. B). Candidates having teaching/research experience on issues related to WTO and legal aspects of International Trade and Investment Law shall be preferred. The candidates should enclose a scanned copy of their degree and/or research experience certificates along with the application, failing which the application will be rejected. The candidate should have sound knowledge of computer application and packages (M.S. Word, M.S. Access, M.S. Outlook, M.S. Excel, M.S. Power Point) as well as good command of English (spoken and written) with interest in research activities. Indian nationals having the above qualifications and experience should only apply online through the link given below latest by 26 April 2019. The shortlisted candidates shall be informed by e-mail to appear for the written test, computer skill test and interview to be scheduled in the month of May 2019 at 6th Floor, NAFED House, Siddhartha Enclave, Ring Road, New Delhi-110014.